Class Summary: Music, voices, chimes, whistles, etc. Our ability to hear opens the door to a world filled with sounds and noises. 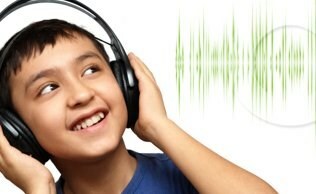 Throughout this course students will learn the science behind sounds and audio. The children will get to experiment with a variety of sound-producing instruments such as metal, string, wood, plastic, and horns, and learn exactly how these instruments are able to yield the noises that we hear. Educational Value: In this course students will explore the characteristics of sound. They will learn the basics of sound waves through experimenting with molecules and demonstrating sound wave motion. After learning about the origins of sound and how it travels, students will then get to create their very own acoustic sounds using various instruments of their choosing. At the end of the course the children will bring home the resonance chamber of a Sonic Horn as a take-home gift.